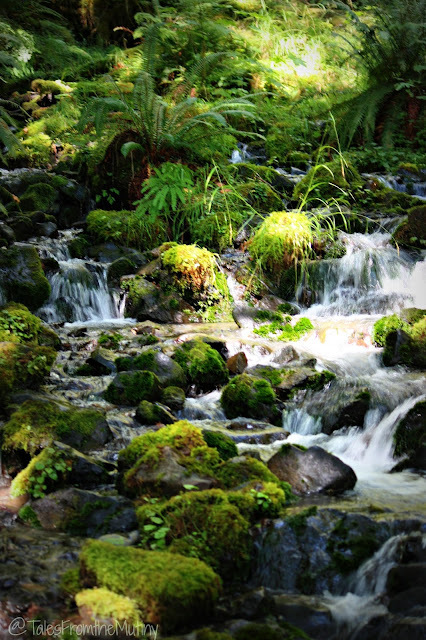 Note: I’m going to have to break this trip down into a series of posts because at nearly a million acres, Olympic National Park is huge. It has 3 distinct ecosystems and offers a variety of adventures from alpine hiking and mountain climbing to beach combing. 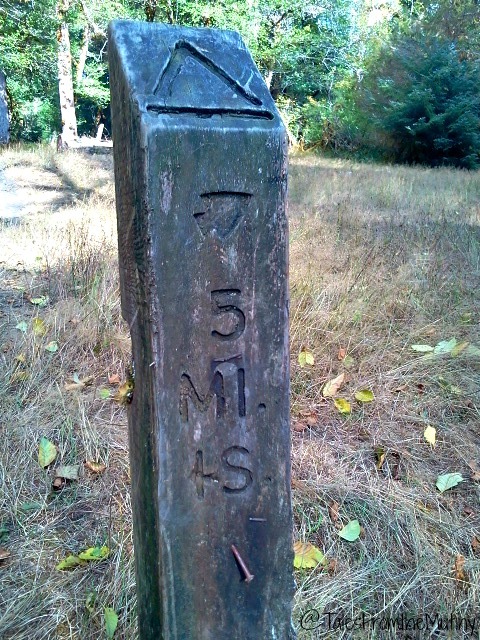 Distances between the various portions of the park can cover 150 miles. 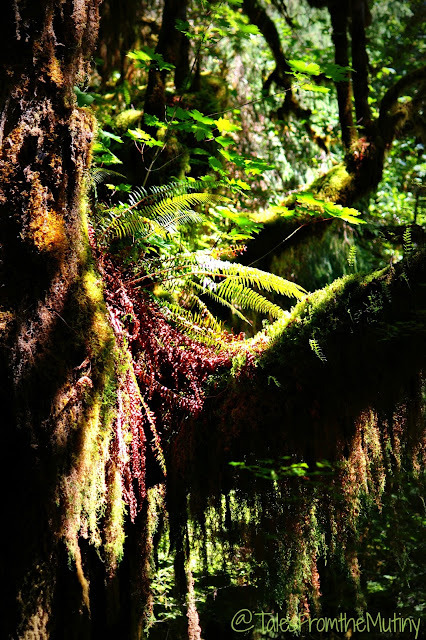 With Olympic National Park being as vast as it is, we decided the best way to see the rain forest and beach sections would be to move our home on wheels to a more suitable location. 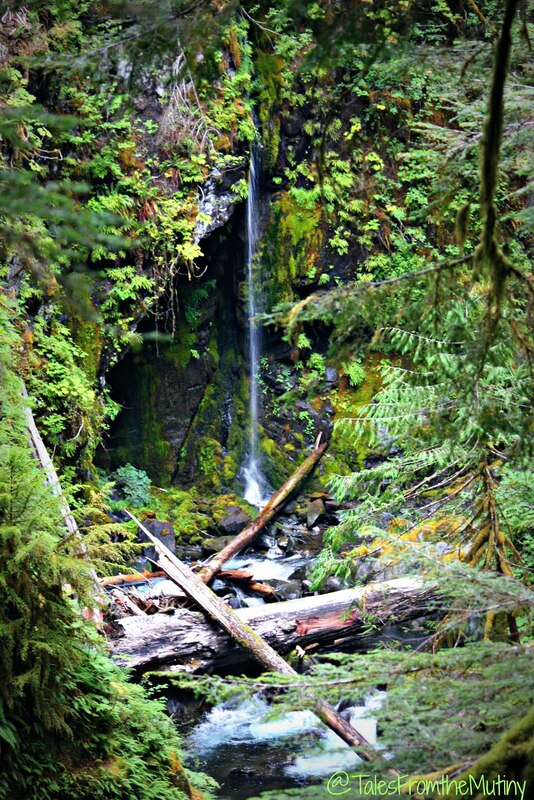 And after a week exploring in Sol Duc, Elwha and Obstruction Point we were ready to move on. 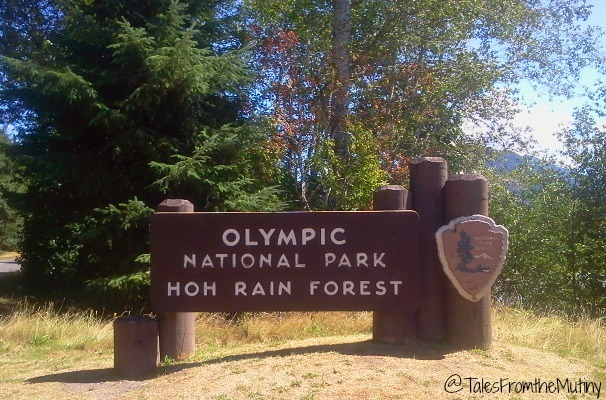 We decided to stay at Hard Rain Cafe, right outside of the Hoh Rain Forest, because it offered hookups (this was prior to solar…which may not have helped much anyway considering the trees) and was close to trails. Hard Rain Cafe is a quirky spot with cheap camping. RV sites are just $19 per night but they aren’t anything special, unless you happen to be there when the blackberries are ripe. Then they’re pretty awesome because you can pick to your hearts content right outside your door. The cafe offers breakfast, burgers and even picnic lunches if you’re not feeling up to cooking…just don’t expect anything fancy. It is, however, a great spot to park the RV if you need electrical hookups and still want to be in close proximity to Hoh. Note: there is a campground inside the park but it’s primitive and shaded so solar will be useless (dump station for a fee). Ferns growing in the trees. 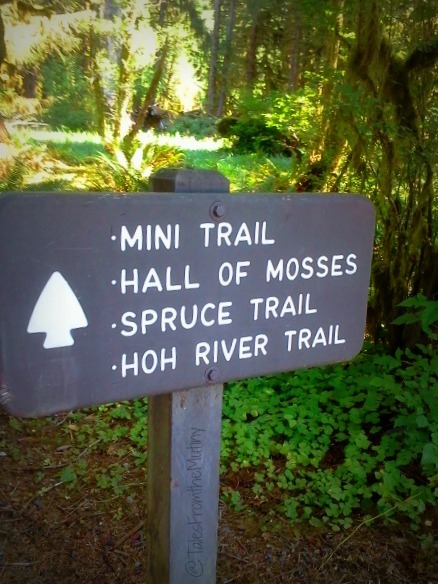 Probably the most iconic trail in Hoh is the Hall of Mosses (trail map). At just 3/4 of a mile in length (it’s a loop) and less than 100 foot elevation change it’s very popular and easily accessible for all ages and abilities. 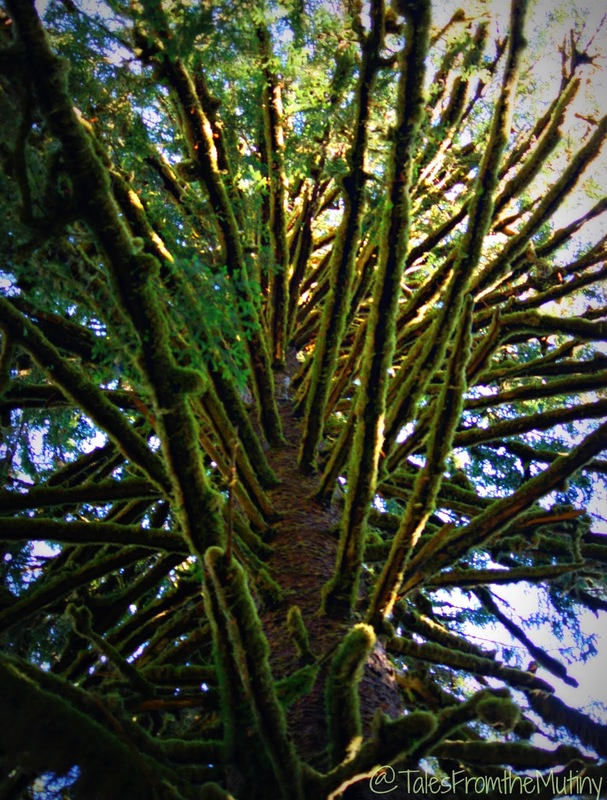 Similarly, the Spruce Nature Trail is just 1.2 miles with about a 100 foot elevation change. If you want anything longer then the only other option is the Hoh River Trail. After completing the two smaller loops we headed out on the River Trail with a spot called 5 Mile Island as our turn around point (trail map). Let me tell you, it was like stepping back in time. 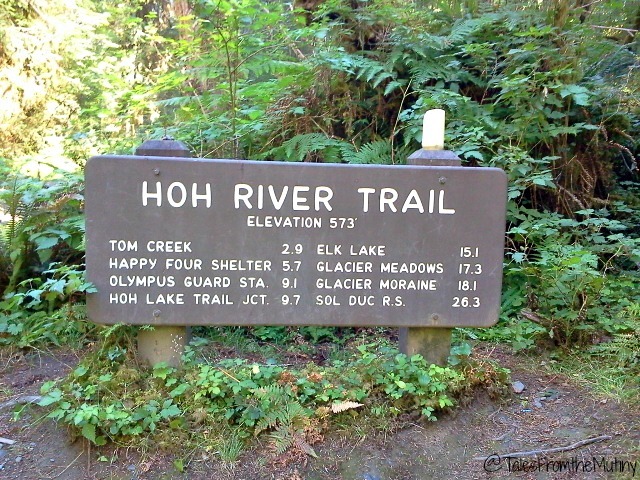 The Hoh River Trail provides access to those attempting to summit Mt. Olympus as well as many out and back hiking options. Get your permits if you plan on doing an overnight. This is the only signage for 5 Mile Island so be on the look out for it…otherwise be sure to keep track of time and/or distance with a watch or GPS app. 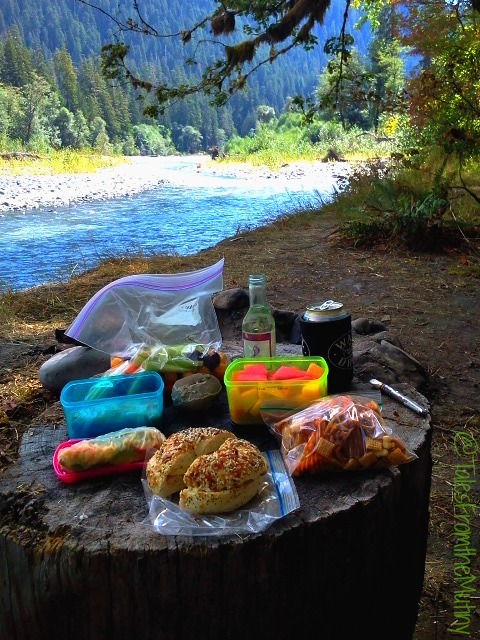 We enjoyed a nice lunch on the banks of the Hoh River at one of the unoccupied campsites at 5 Mile Island. 5 Mile Island is a great spot for lunch (or for tent camping should you feel so inclined). Although the hike is an out-and-back it’s so worth it as everything looks different on the return trip with the sun in a different position. The trail was not very challenging and easy to navigate…the beauty being you can choose to turn around whenever you feel like it. Hoh Rain Forest is a unique experience. It’s really hard to explain it’s beauty and even harder to try to capture it in photos due to the low light in most areas. 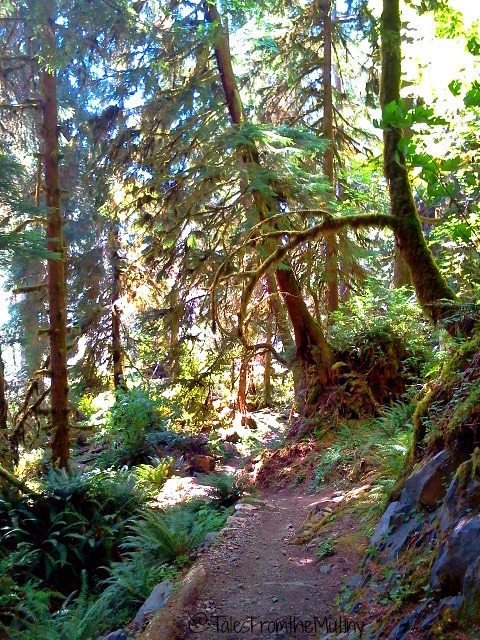 But after our sub-alpine hike at Obstruction Point this was a nice contrast. Don’t skip this section of the Park!